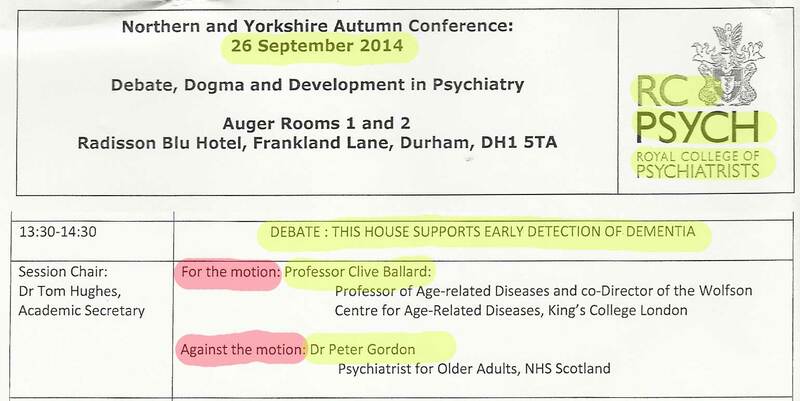 This debate was part of the Northern and Yorkshire Autumn Conference of the Royal College of Psychiatrists and was held in Durham, on Friday 26th September 2014. 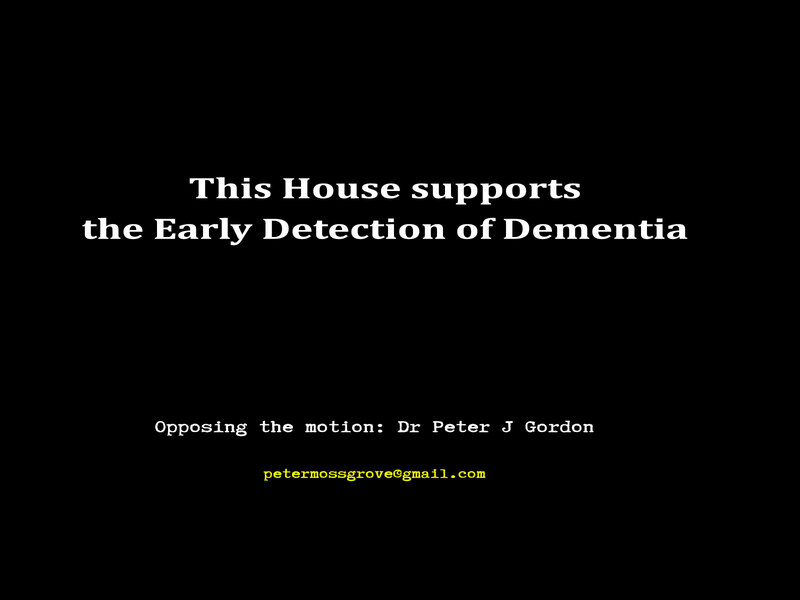 The motion was worded as “This House supports the early detection of dementia”. In what follows I will present the slides and the text of my spoken words that were given with each slide of my main argument. Opposing debaters were confined to a ten minute argument so unfortunately a vast subject like this has inevitably had to be reduced. In my argument I decided that it was most important to concentrate upon definitions, evidence and ethics. Just before you read my presentation [as given on the day] I want to offer my sincere gratitude to Dr Tom Hughes, Academic Secretary (Northern & Yorkshire RCPsych) for being a perfect host and most balanced Chair. I also want to offer my thanks to Prof Clive Ballard for debating this difficult subject with me and for his professional and gentlemanly manner. 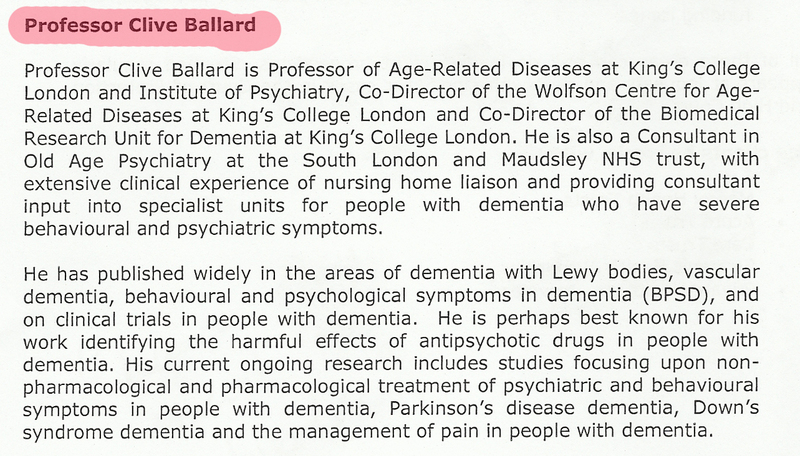 Whilst we disagreed most significantly on this motion I am certain that Prof Ballard is of the same view as me that this is a complex matter and not one for a simplified approach. I also want to thank the RCPsych organisers: Eva Davison, Division Manager, and Leanne Lane, Divisional Administrator. Both Eva and Leanne were most helpful and the meeting was organised with most professional care. I am grateful to have been invited here today to oppose the motion: that this House supports the Early Detection of Dementia. It is perhaps important that we try and establish definitions for the key words in this motion. 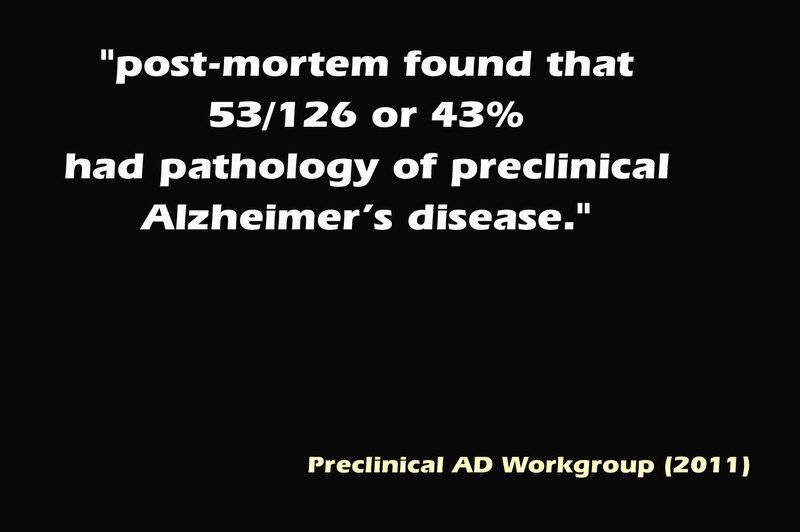 Let us deal with DEMENTIA first. 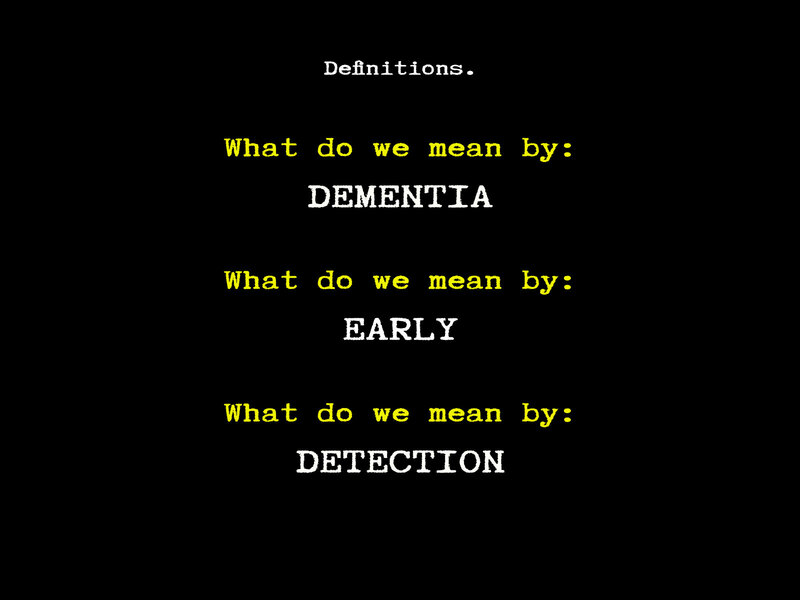 You will be familiar with internationally accepted definitions for dementia. 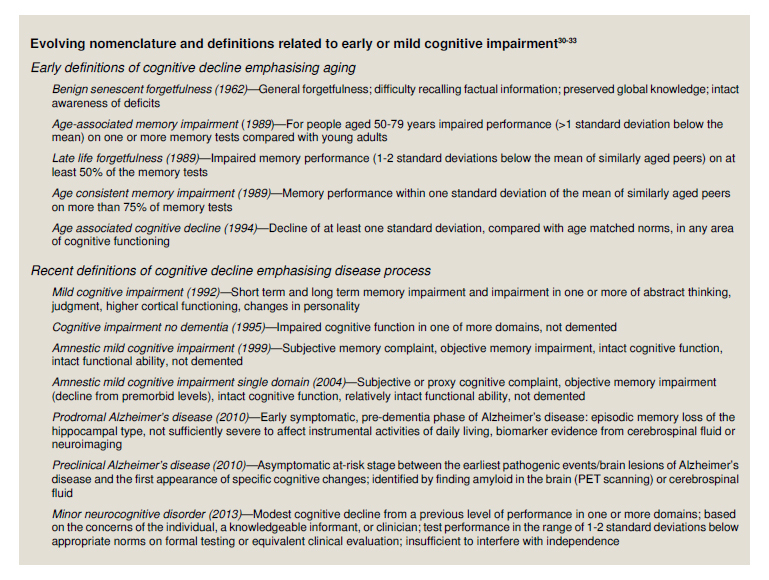 The essential features being that this is a clinical syndrome that manifests with SIGNIFICANT cognitive and functional impairments across a RANGE of DOMAINS of assessment. For the remainder of my ten minutes I am going to address what we mean by “EARLY” and then lastly consider what we mean by “DETECTION”. It has been said that “Early Diagnosis is Everywhere”. 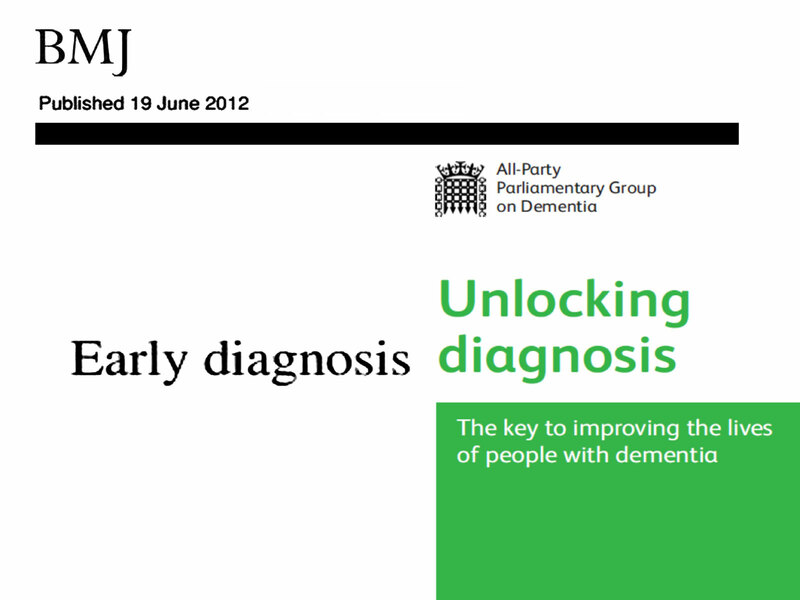 In 2012 The Westminster All-Party Parliamentary Group published its report: Unlocking Diagnosis. 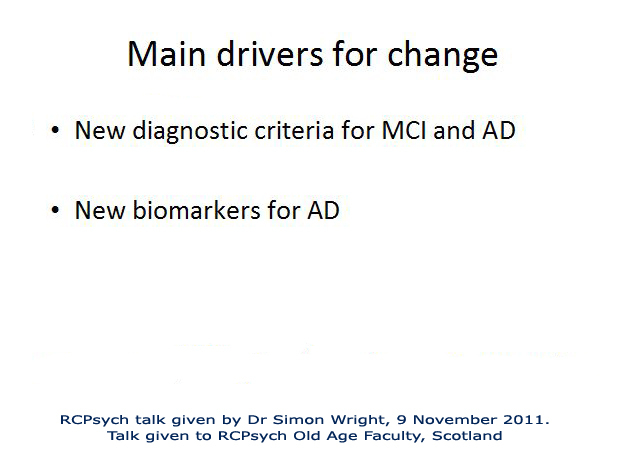 In this report the focus was that on EARLY diagnosis of dementia. The word timely was not used once. 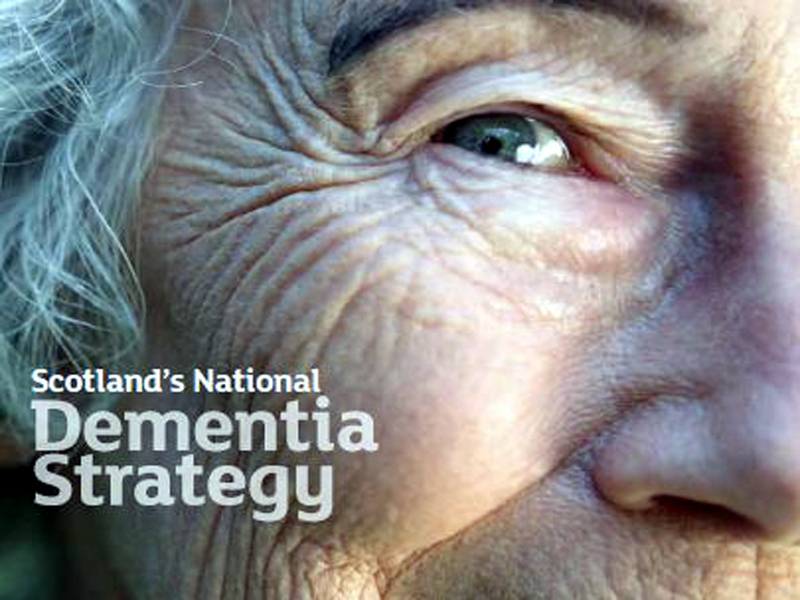 Scotland’s National Dementia Strategy included the early diagnosis of dementia. Instrumental to Strategy in Scotland was HEAT Target 4. 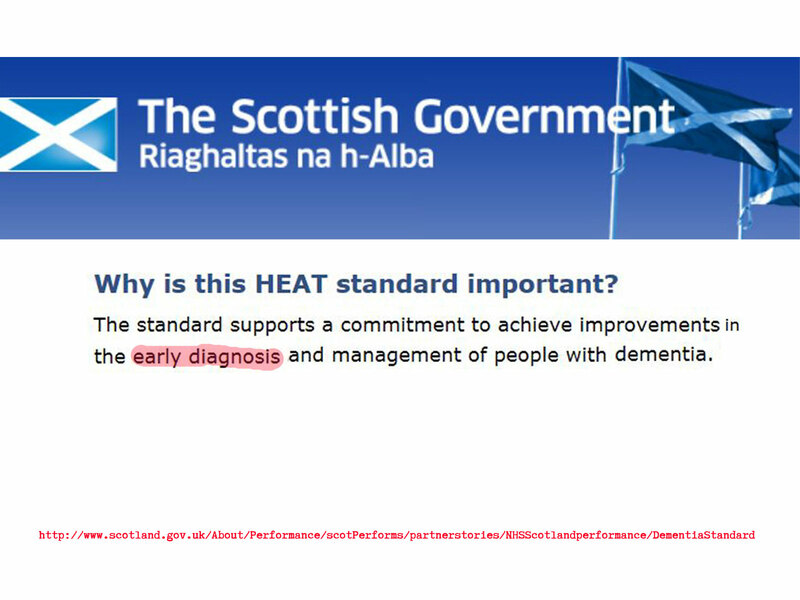 All NHS Boards in Scotland set about ensuring that this early diagnosis target was reached. Continuing the theme of definitions. 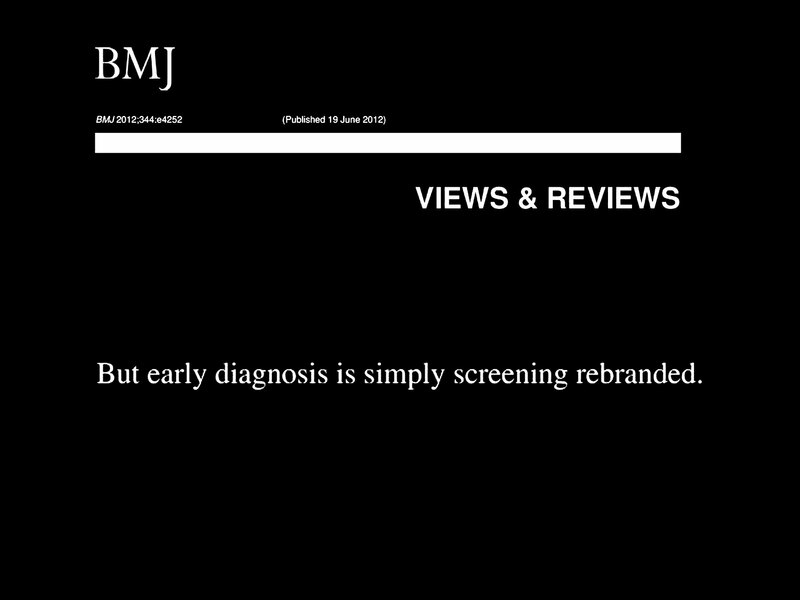 It has been suggested by some academics and clinicians that early diagnosis “is simply screening rebranded”. 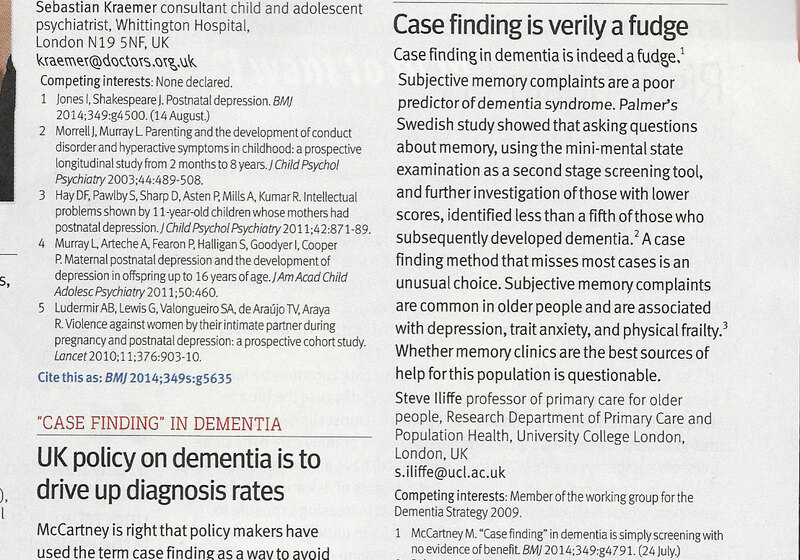 To complicate matters even more, policy makers have drawn a distinction between “screening” and “case-finding”. 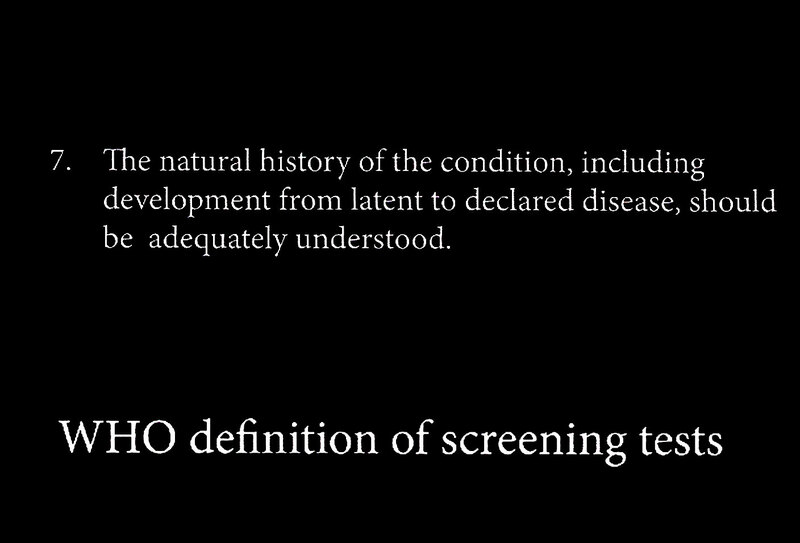 The World Health Organisation has clear definitions of screening. Drs Wilson & Jungner defined screening through a set of ten criteria. This specifically applied not just to population screening, but also to case-finding, opportunistic and specific target groups. 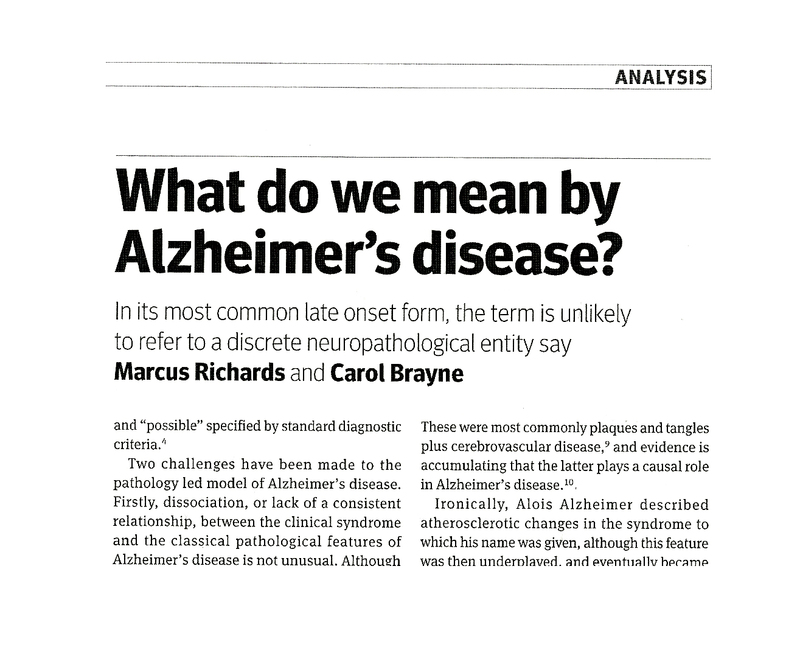 A few years back, in the BMJ, Marcus Richards and Carol Brayne asked “what do we mean by Alzheimer’s disease?” This is a question that I would contend that we do need to consider how ever obvious it may sound, and in particular for our most elderly old. Professor Carol Brayne’s Team are researching this area. 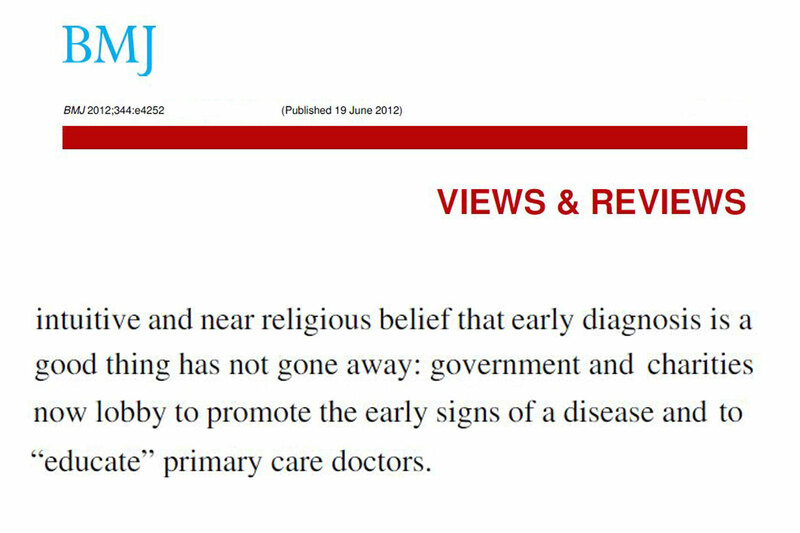 Nearly all policy leads have justified “early detection” as case-finding. 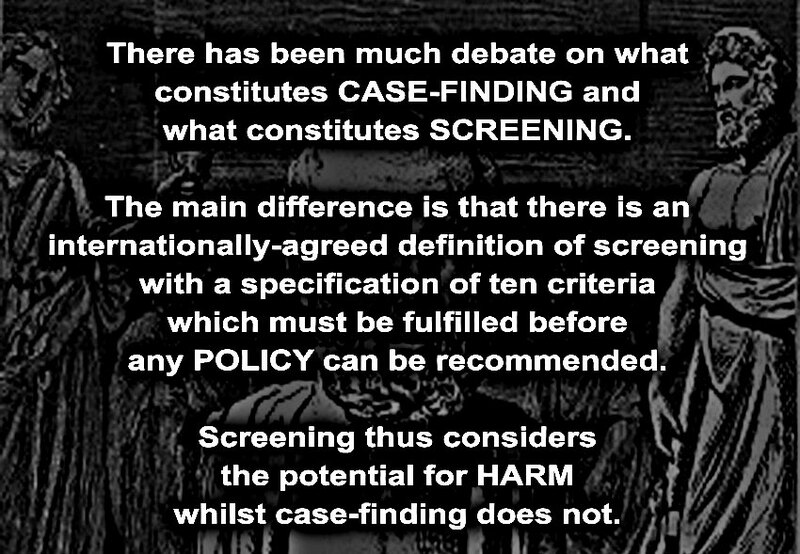 There has indeed been much debate on what constitutes case-finding and what constitutes screening. 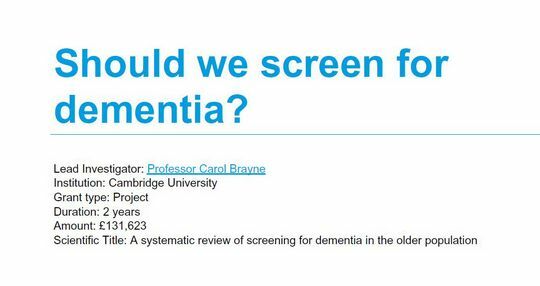 The main difference is that there is an internationally-agreed definition of screening with a specification of ten criteria which must be fulfilled before any policy can be recommended. 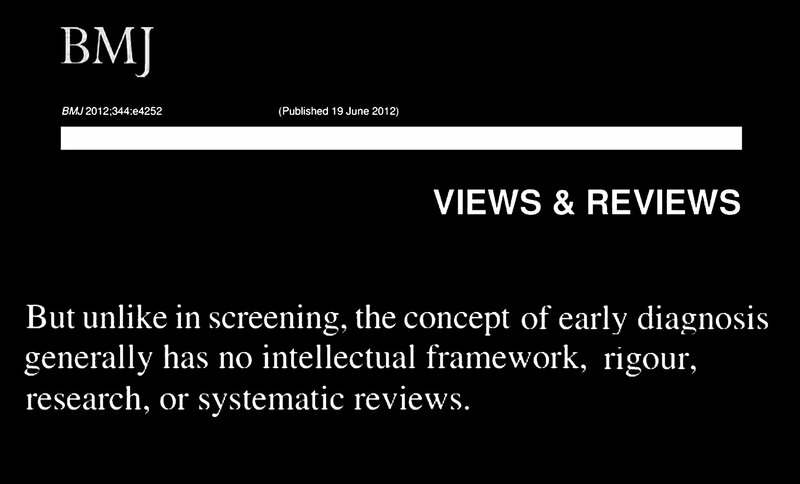 Screening thus considers the potential for harm whilst case-finding does not. 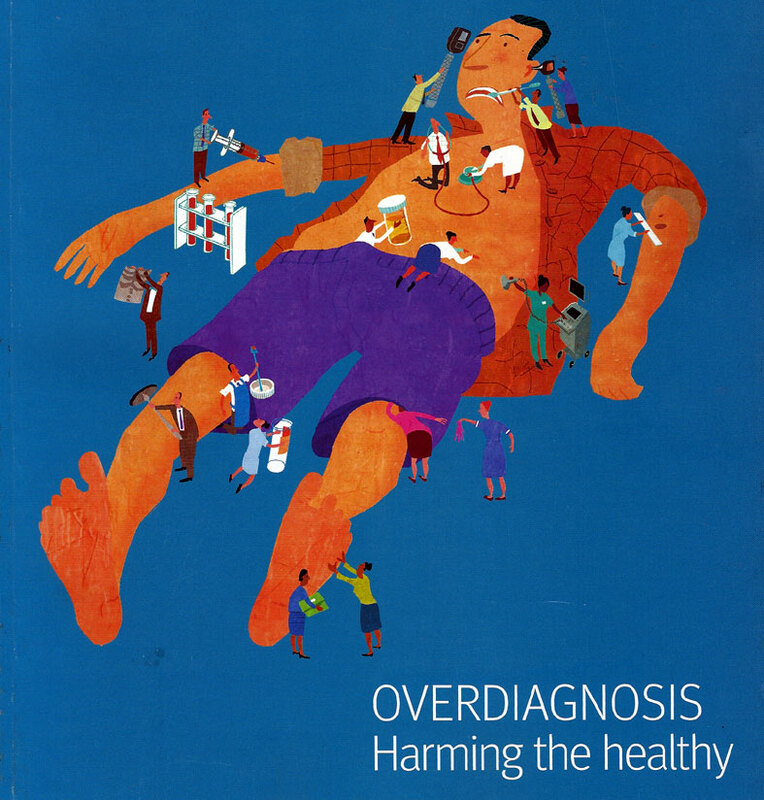 This is the cover from the BMJ when they launched their too much medicine campaign. 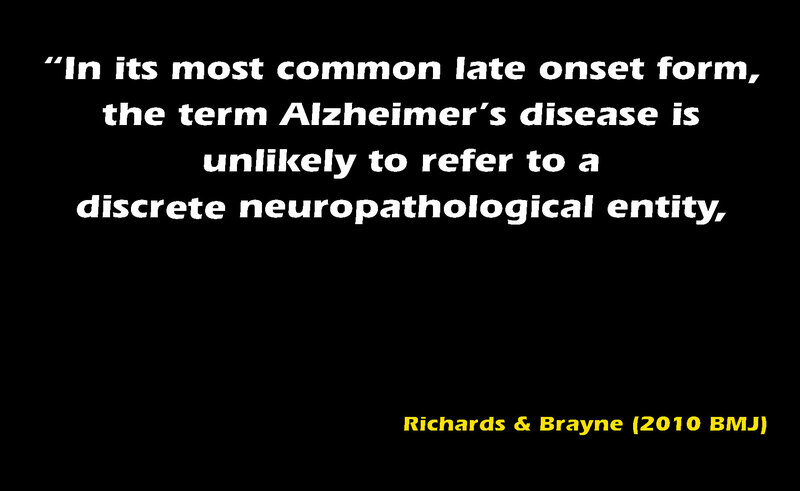 There is certainly a risk that we might over-diagnose “early dementia” given remaining uncertainties about pathological basis for dementias. 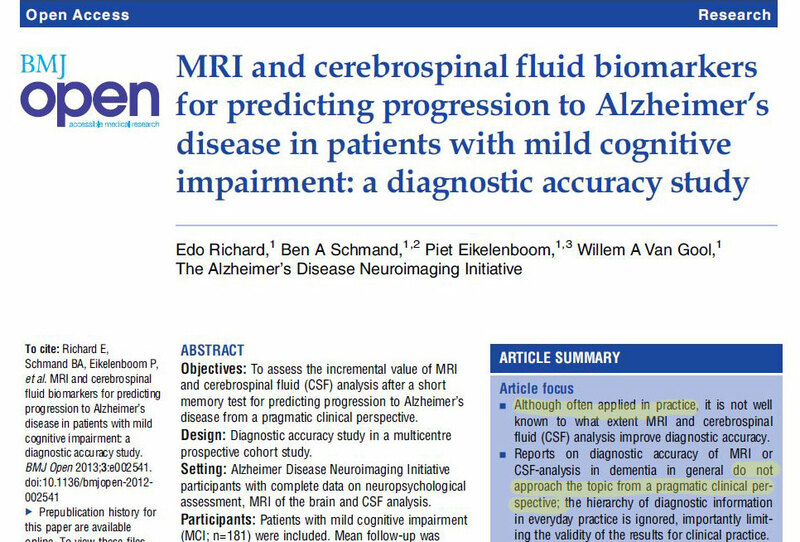 Last year this paper was published in our Yellow Journal. It covered ethics. 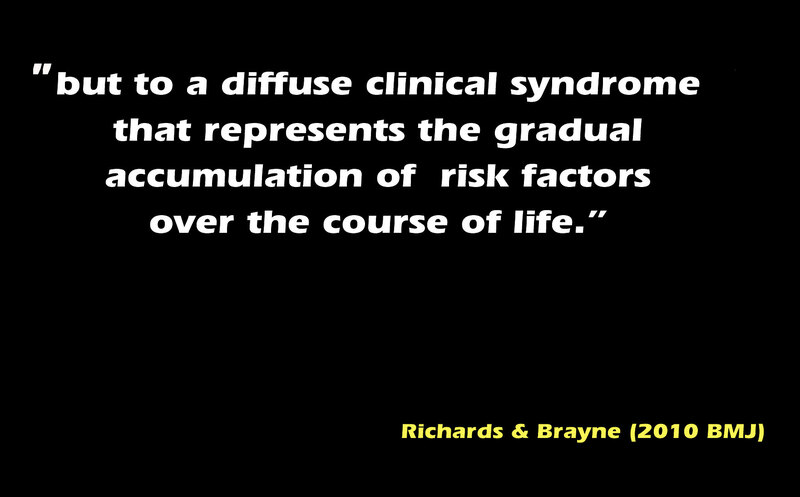 Thus the risk of over-diagnosis in our most elderly is very real. 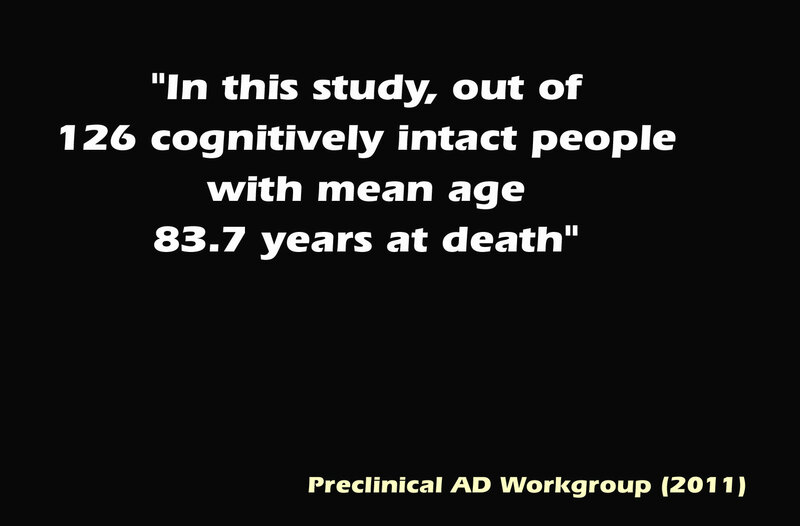 1 in 2 of our cognitively unimpaired elders could be wrongly labelled with Alzheimer’s disease. Delayed diagnosis concerns me but the response to this should be to aim for a timely diagnosis. 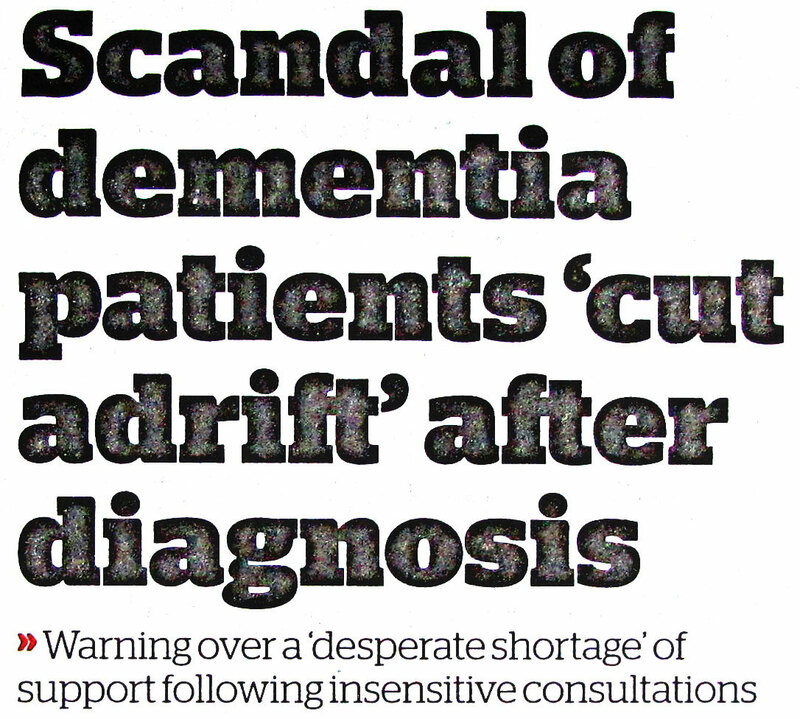 The risks with “early” detection are mis-diagnosis, over-diagnosis and ultimately the potential for services to be so stretched that those who most need help, those with dementia, are disadvantaged. This is known as inverse-care. This is my last slide. 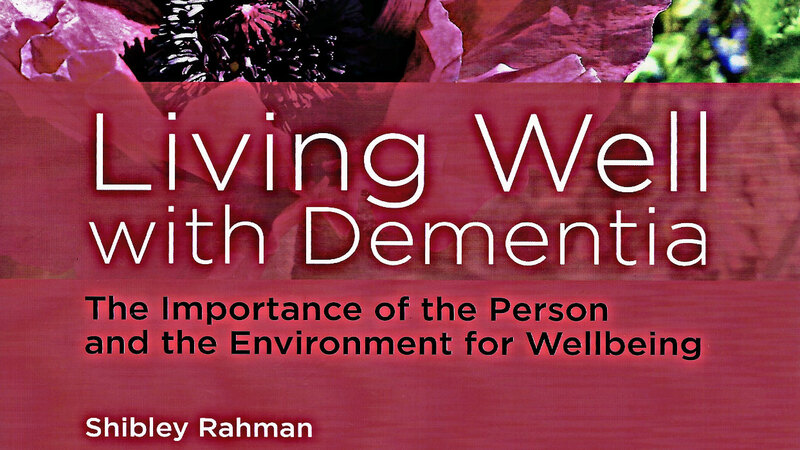 It is my view that a lot of care and support can be provided for those living with dementia and that you can live well with dementia. Let us care even if as yet we cannot cure. 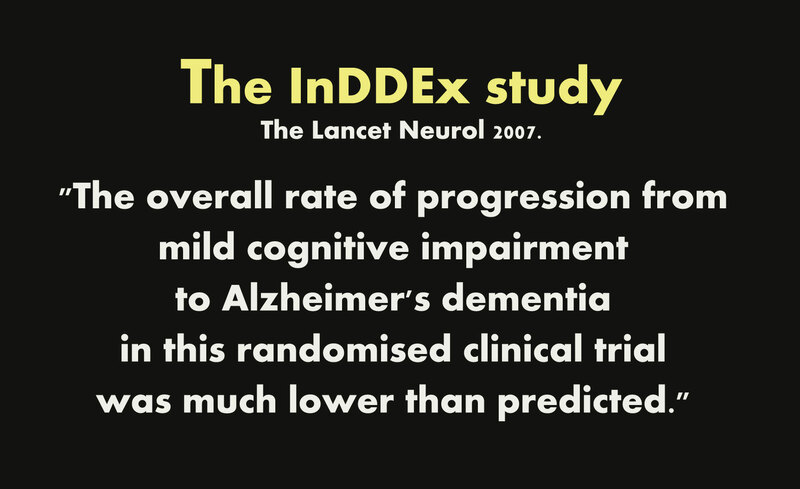 This is why I support timely diagnosis of dementia. The evidence and ethical base for “early detection” has not yet been made. Prof Ballard presented at this Debate in support of the motion. For that full argument I would suggest you contact Professor Ballard.